In summer days, dehydration is the major issue we face. It could be easily over come by adding more fluid in our diet. Apart from drinking water, fresh fruit juices too keep our body cool. So here's an easy to make simple juice with the ingredients available in your own pantry. This juice has loads of vitamins in it so it is delicious and also nutritious too. As it is a colourful juice it sure attracts kids. While preparing this juice for kids you could avoid ginger. Personally I do not prefer ginger in fruit juices but I leave that to your discretion. You need not add ginger and one can make the juice with sweetness to one's requirement. Chilled water- 1 cup+ extra to dilute if needed. 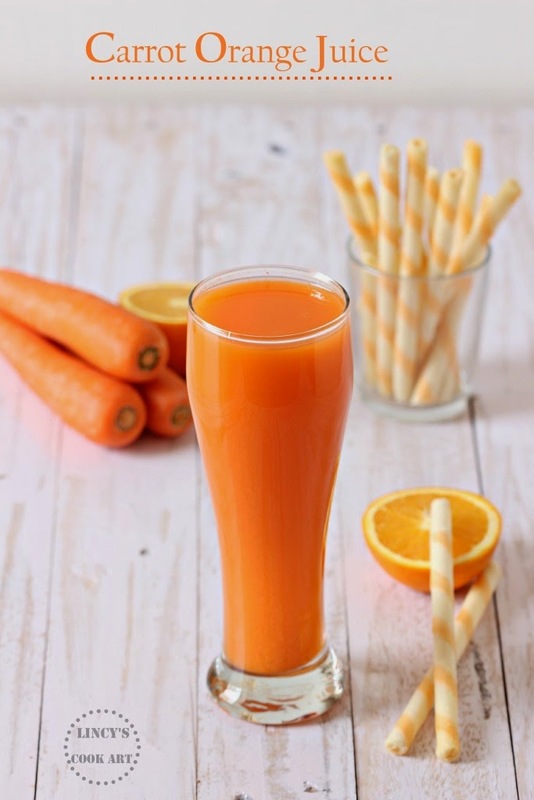 You could prepare this juice in two ways one easy method is to add the chopped carrots, ginger, peeled and de-seeded orange pieces and sugar; pulse for some time add chilled water and make it as a fine puree; then pass it through a sieve and extract the clear juice. Another method is, chop the carrot and pulse to make a powder. Now add a cup of chilled water and grind to make a puree. Strain the puree to get a clear juice by pressing well with a ladle. If you want add little more water and extract once again. Extract the orange juice using the normal citrus juicer and add the clear carrot juice extracted earlier. Dilute with half cup of water if needed. Add the sugar to sweeten the juice and mix well. Note: If you donot like ginger in fruit juice you can skip from adding that. 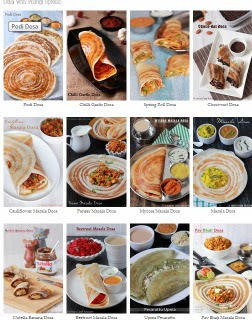 For variation u could add a chopped apple too while grinding.